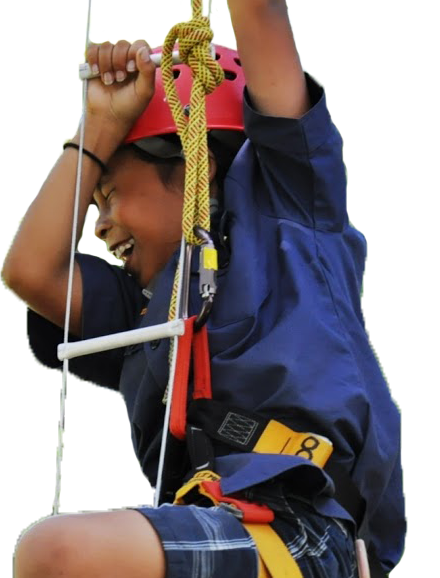 We are Climb Aloha’s Recreational Services branch. We specialize in rock climbing and slacklining classes, as well as company team building and child/teen focused events. Our instructors are formally trained in several disciplines (including Rescue, Tree Climbing, and First Aid), and are all here to make sure you have a good time! Birthday parties, group classes, or one on one, our team of slackers is here to get you walking down the line. Climb Aloha’s Rocks School is the original rock climbing guide service in Hawaii. It's our desire to make the world a better place by sharing our love for rock climbing and introducing you to the sport as thrillingly and safely as possible! Like no other sport, rock climbing offers the potential for a lifetime of rewarding experiences. You will meet fun and interesting people, visit the world’s most beautiful places, and challenge yourself in unexpected ways. Be sure to bring your own snacks, suncreeen, water, and a lunch. Swimwear should always be in your backpack in Hawaii. All technical gear – rock climbing shoes, rope, crashpads, etc, is provided by us. How do we get to the class site? Directions will be provided by your guide. We also may be able to offer you transportation services for an additional fee. If you cancel with less than 48 hours notice, or don’t show up, you will still be charged for the class. You may be able to take a makeup class at a later date. What if there's bad weather? Our instructors will call you the day before to confirm the weather and plans for the next day. If it rains during your class and you have to leave early, the class will be pro-rated or you will have the option to take an additional class at another location. Contact us for more information.